I'm just going to say it, August was AWESOME! This probably was one of the best months of the year for me. Not only because it was my birthday month, but, because this felt like an actual month. It was rightly paced and didn't go too fast or slow. Of-course it came with its share of lessons and while I'm definitely a year older today, I feel many, many years wiser. I don't know if some super power intents to do this or not, but my birthday months always teaches me a lot. 2017 hasn't been much of a good year until now, but August seems to be the silver lining in an otherwise clouded year. This time, like always, I has a fabulous birthday. When you are married to your best friend, everything falls in place and is near perfect. I do not like extravagant celebrations that are way too loud or all over social media. Yes, I'm a closet drama queen but I like my occasions to be simple and with limited people. When it comes to birthdays, I like to celebrate it with my special one. Parties are something that I cannot stand and I like to have long conversations over some good food. And gifts. Of-course gifts! When you are a bibliophile, you pretty much know what gifts to expect from people. I received quite a lot of books this birthday and I'm not complaining. Hopefully, next birthday, I'll get a bookshelf too. My day was splendid and it revolved around conversations, food and love. Do I need to ask for more? August was a pretty calm month work-wise too. While there was quite a lot of work, I did manage to get some free time for myself. Since I do not like carrying a book to work and reading it, I downloaded a lot of ebooks that I could read while taking a break at work. Growing up, I never read much of children's books. After Enid Blyton, I straight moved on to Sidney Sheldon, Danielle Steel and others. While looking for PDFs online, I found a lot of books that I should have read as a child. Considering the fact that I only read Harry Potter at 30, it was never too late to read these too. Actually, one is never too late to read any book. Books are love. I started with 'Matilda' and was transported back to my childhood. I had watched the movie a long time ago, but Roald Dahl's writing is something else altogether. I followed it up with five more short stories written by him and loved every one of it. I also read 'Alice In Wonderland' and 'The Wonderful Wizard Of Oz'. Such magical tales they are. I'm soon going to be looking for the illustrated versions of these books and save them up for my children or Godchildren. If August has to stand out as my favorite month of this year, it would be because I read 'The Book Thief' this month. This book broke me into a million pieces and had me bawling like a baby in the end. I do not want to give away much because I'll be doing a detailed review of the book very soon. This book is undoubtedly one of the best books that I've read and it will always hold a special place in my heart. I also read 'Journey Under The Midnight Sun' by one of my favorite authors, Keigo Higashino. This was a pretty long book at close to 600 pages, but I finished it in one whole night killing my sleep. Yes, it was unputdownable as all Higashino books are. Yes, I'll be reviewing this one in detail as well. As of now, I'm reading 'Winter Garden' by Kristin Hannah, but I'm taking my own time with it and reading it at a slow pace. One of the biggest lessons that I would take from August would be that it is okay to slow down and let things take its own course of time. Honestly, being a multitasker, I have a million things on my mind all the time. In 24 hours, I try to do so much that I drain myself out and still am not satisfied at the end of the day. This time, I decided to let my hair down and just take one thing at a time. Cal and I took a vacation to Pondicherry and this gave us the much needed break. 'Give time a break', Pondicherry says and it cannot be more right! Since we stayed in the central area of the city, every place we wanted to visit, we could reach by walking. We walked a lot, ate a lot and spoke a lot. This is what I call a perfect vacation! Once I decided to take things slow, I felt better and calm in my head as well. I did not force myself to read or write. As and when I found time, I did it. I let go of the deadlines and the counts and felt so free. It was almost like I had sprouted a fresh pair of wings and was free to fly wherever I wanted to. I had been waiting for this feeling for a long time and August gave me that. I know it sounds pretty dramatic, but I have been through a lot emotionally since the start of the year and it was important for me to let it all go and feel light. And so I did. I finally chronicled my journey with Harry Potter and the three posts that I wrote is very close to my heart. The non-parenting post was something that was on my mind since forever and the interview with Sejal was something new that I tried. I'm glad people loved it and many were surprised to see that I had a funny bone too. Just because I'm a pretty straightforward person and talk fluent sarcasm, people don't think that I can be funny. Well, you don't know me yet. I had to miss the #FeministMondays posts this month as I was traveling. I know I could have scheduled a post before I left, but some how I'm not the one to schedule posts. I write it and publish it in one go. I did not schedule my A to Z posts as well in April. It is mostly because I don't have the time and also because I don't like publishing a post when I'm not around to read it immediately. Feels weird I know, but this is just another one of my quirks. So, that's why August was a really happy month for me. September is Cal's birthday month and that means a lot of planning, shopping, creativity and list-making for me. I know September will be good, this time I'm in control. Glad you had a good month - Birthday months must compulsorily be good - that should be a universal rule :-). I like that you're going back to childhood books. I still love re-reading them. And I hate it when the children don't like what I loved :-). But that's the way it is. I missed your Harry Potter posts, though I did read the others. I watched WHMS after your Sejal interview and re-read it for a fresh laugh. Hope September is just as wonderful. Birthday months do that, I guess. Thanks Parul. Yes, we sure do. So happy that you had a good August. Mine was nice as well. I totally get what you mean about The Book Thief. That book is amongst the best I've read. So nice about the vacation. I feel very warm reading about yours beautiful experiences. Stay blessed! I loved the book so much that I could cry. Weird, but yes. Thank you so much, Rachna. I'm glad you had a nice August too. 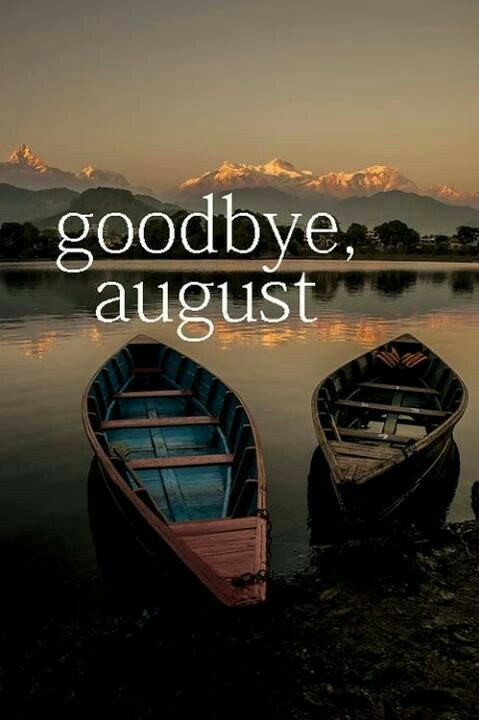 Glad to hear August was a good month! It showed through your Insta posts :) I read Roald Dahl as an adult too and loved it. I don't think I had it as a kid even though I read several other kids/teen books like Babysitters Club and Sweet Valley twins. 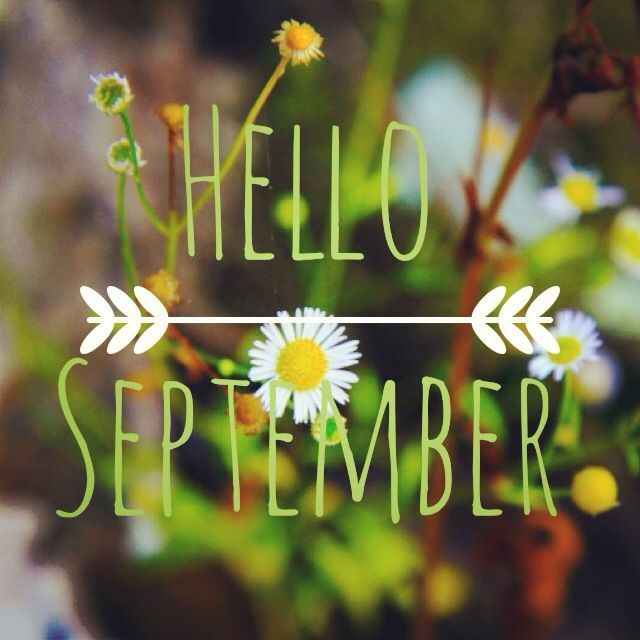 Hope September is a great month too! Wow! Books are the best gifts that you can get be it birthday or otherwise! You reading list is the one I follow too. I bought "The Book Thief" recently but I haven't found the time to read it yet. Hope you have a lovely September. Aww, I hope you have a much better September though.